Please contact us to inquire about laminate sheet projects. We take our stock laminate and apply rigid sheeting to the back of the material. Laminate sheets add versatility for woodworkers as they can be cut with a saw, routered, drilled and tooled. Laminate sheets are stiffer and are more forgiving when laying up on larger surfaces such as table tops and walls. 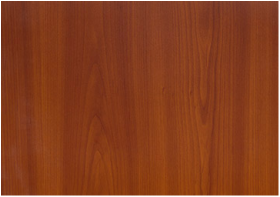 ​Our laminate sheets have many of the same characteristics of standard HPL sheets but offer the ability to have a perfect match to our doors and our peel and stick! Our products compliment each other beautifully; Laminate sheets can be machined, while the peel and stick has the flexibility to be used on curved surfaces and easily trimmed in tight corners. Note: Laminate sheets can be custom produced and requires a 10 sheet per color minimum.